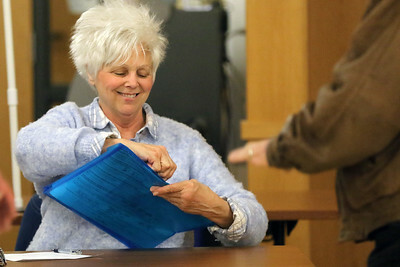 Matthew Apgar - mapgar@shawmedia.com Election worker Chris Riley checks in election judges as ballots arrive for tabulation at the McHenry County Administration Building on Tuesday, March 20, 2018 in Woodstock. 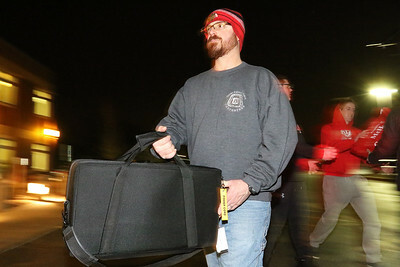 Matthew Apgar - mapgar@shawmedia.com Ben Calderone delivers ballots upon arrival for tabulation at the McHenry County Administration Building on Tuesday, March 20, 2018 in Woodstock. 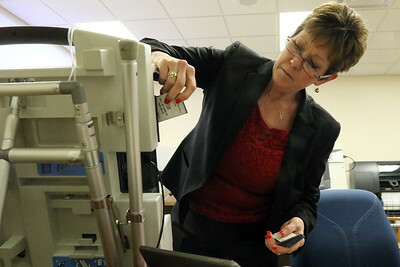 Matthew Apgar - mapgar@shawmedia.com McHenry County Clerk Mary McClellan inserts a memory card to tabulate votes at the McHenry County Administration Building on Tuesday, March 20, 2018 in Woodstock. 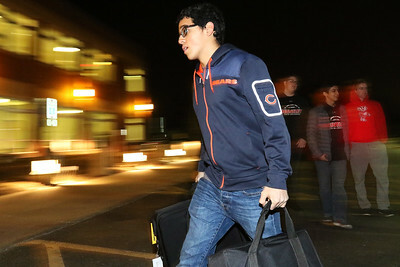 Matthew Apgar - mapgar@shawmedia.com Alfonso Tinajero delivers ballots as they arrive for tabulation at the McHenry County Administration Building on Tuesday, March 20, 2018 in Woodstock. 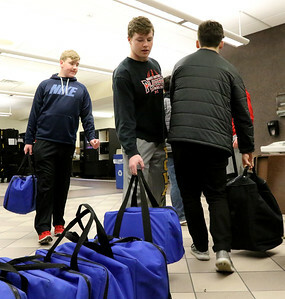 Matthew Apgar - mapgar@shawmedia.com From left: Andrew Bartter, Ryan Antonsen, and Ben Calderone deliver packages of election results as ballots arrive for tabulation at the McHenry County Administration Building on Tuesday, March 20, 2018 in Woodstock. Matthew Apgar - mapgar@shawmedia.com Chief deputy clerk Linda FitzGerald talks with Brian Kline as they receive ballots for tabulation at the McHenry County Administration Building on Tuesday, March 20, 2018 in Woodstock. 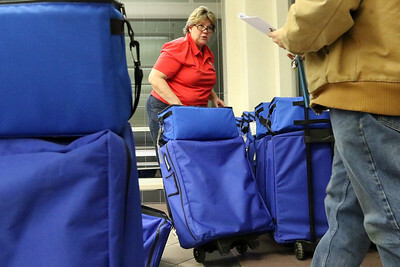 Matthew Apgar - mapgar@shawmedia.com Wallace Voce of Lake in the Hills delivers ballots as they arrive for tabulation at the McHenry County Administration Building on Tuesday, March 20, 2018 in Woodstock. Matthew Apgar - mapgar@shawmedia.com Brian Kline retrieves ballot information from packages delivered to the McHenry County Administration Building on Tuesday, March 20, 2018 in Woodstock. 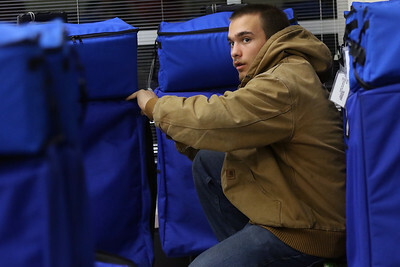 Ben Calderone delivers ballots upon arrival for tabulation at the McHenry County Administration Building on Tuesday, March 20, 2018 in Woodstock.